Thank you Pinterest for turning me in to a creative parent. lol Obviously Liam wasn't too excited about it but he was interested. 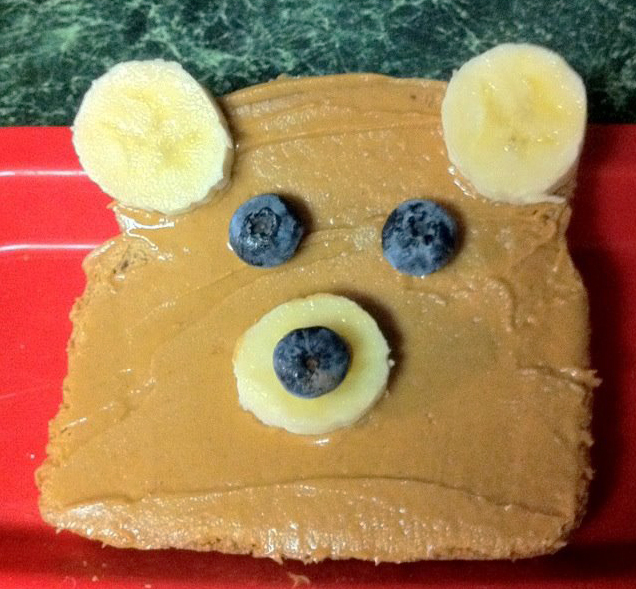 Blake loved the idea and loved helping make the bear face, he was SO in to it. We made it for lunch with some green beans and more fruit. How freakin' cute is that. I think whoever on pinterest used raisins but I think blueberries are yummier and better. That is it, and you are done. Blake added a blueberry smile to his. Waffle Sticks with my Waffle Stick Maker! Don't have a blogger account? No problem! Subscribe to get emails! Once Upon a Happy Ever After. Picture Window theme. Powered by Blogger.